The engineer’s toolbox for all single phase relay testing! 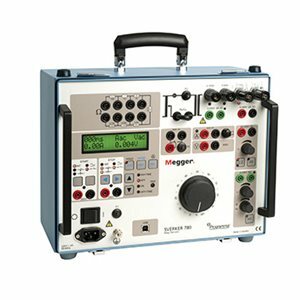 The SVERKER750 and SVERKER780 Relay Test Set are the engineer's toolbox. The control panel features a logical layout, SVERKER 650 users will find it comfortably familiar and will be able to start work right away. The SVERKER750 and SVERKER780 features many functions that make relay testing more efficient. For example, its powerful measurement section can display (in addition to time, voltage and current) Z, R, X, S, P, Q, phase angle and cos φ. The voltmeter can also be used as a 2nd ammeter (when testing differential relays for example). All values are presented on a single easy-to-read display. You can also test directional protective equipment efficiantly by means of the built-in variable voltage source. In SVERKER780 this has a continuous phase shift function and adjustable frequency as well. Automatic reclosing devices can also be tested – just as easily. Designed to comply with EU standards and other personal and operational safety standards, SVERKER750 and SVERKER780 are also equipped with a serial port for communication with personal computers and the PC software SVERKER Win. Since the compact SVERKER weighs only 18 kg (39 lbs), it’s easy to move from site to site.